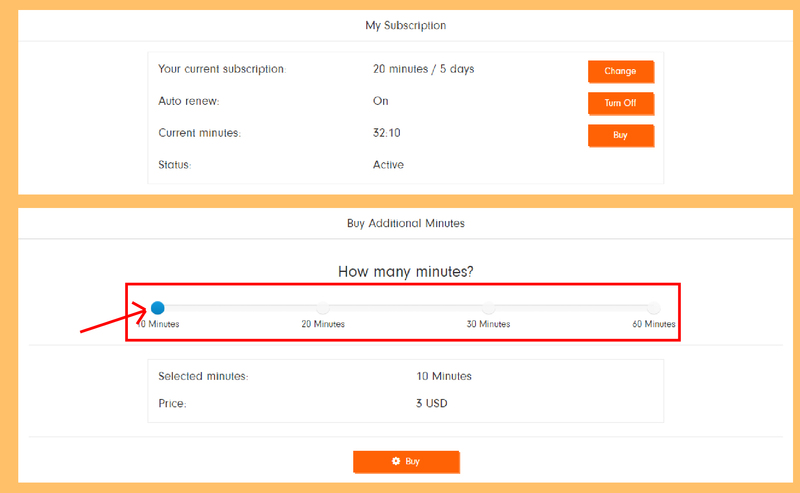 Additional to your package, you can buy extra minutes in English Ninjas. This feature is accessible for only subscribed users. Do not delay to practice English. You can choose suitable package for your budget and need. 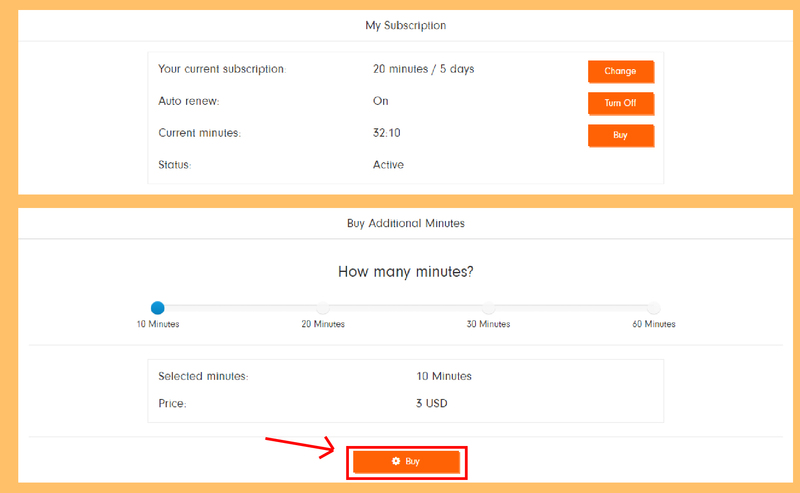 Follow the instructions in order to buy extra minutes. 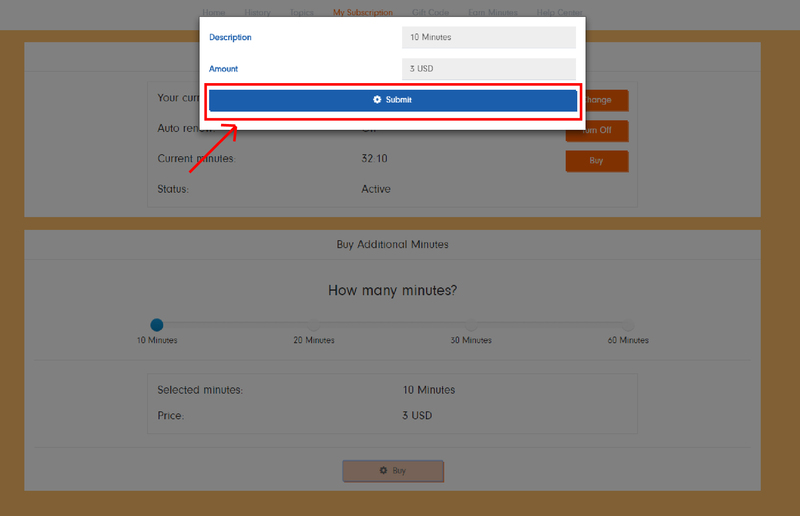 1) Go to main page and click "Buy extra minutes"
You are ready to use your additional minutes.